Show how much you care with this stunning 9ct yellow gold signet ring. Featuring a large heart design set at its centre, this beautiful ring also features intricate cut away heart detailing across the shoulders for a heartfelt finishing touch. 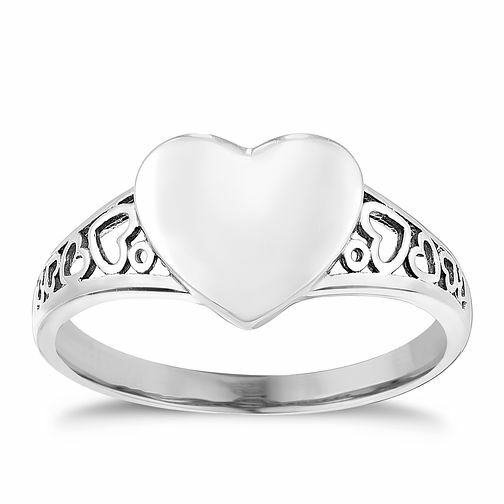 9ct White Gold Heart Shaped Signet Ring is rated 5.0 out of 5 by 3.